Lodging - Hotels / Resorts / Apts. Welcome to Arizona! Most people know there’s only one Grand Canyon, but there is much more here than just canyons and cactus. The sample images here have been submitted anonymously by our members to showcase the variety of locations available for your next project here in our state. 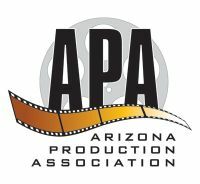 The APA does not have information on these locations, but our first-rate, experienced, professional Location Scouts are ready to assist you with all of your location needs, including location information, permitting and scouting assistance. To view sample images, select one or more of the categories below. Images displayed will be based on the categories you select. You can also select "All" to view all sample images on the site.